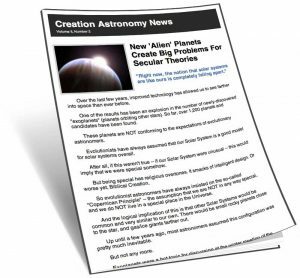 Links to articles updating the information in Volume I of the Creation Astronomy video series. Then in July 2015, after traveling 3 billion miles over 9 years, the New Horizons spacecraft reached Pluto. And the results have been spectacular. Read more about the discoveries on Pluto. Be notified when more Volume I updates are published.